Richard Wain Young, 86, professor emeritus of anatomy, died May 18 surrounded by family members at his home in Hollywood. For more than 55 years, he worked at the medical school at UCLA and published his last book, “Human Origins and Evolution,” in 2014 when he was well into his 80s. At age 17, Young joined the Marines after graduating from high school. After three years of service, he left the Marines as a staff sergeant, only to be recalled into service for the Korean War He spent much of the next 13 months in Italy. Using the G.I. bill to pay for college, he first attended Patterson State Teacher’s College and later transferred to Antioch College, where he earned a B.A. degree in biology. With a predoctoral fellowship from the U.S. Public Health Service, he attended Columbia University, where he completed a Ph.D. program in human anatomy in 1959. He continued his studies with a National Science Foundation Postdoctoral Fellowship at the University of Bari (Italy) and the Karolinska Institute in Stockholm, Sweden. He subsequently received training in the use of radioisotopes at the Oak Ridge Institute of Nuclear Studies and in electron microscopic autoradiography at the Centre d’Etudes Nucléaires in Saclay, France. 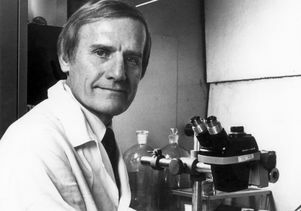 In 1977 Young became a visiting professor at Wolfson College, Cambridge University. Young joined the faculty of the UCLA Medical School’s Department of Anatomy (now the Department of Neurobiology) in 1960 as an assistant professor. He attained the rank of professor in 1968. His primary teaching assignment was in microscopic anatomy, a course that he chaired for several years. His research, funded by the U.S. Public Health Service and primarily based upon autoradiography, focused on cell biology in bones, teeth and the ocular lens, particularly the visual cells of the retina. In 1967, he published his seminal paper on the continual renewal of the outer segments of the rods and cones. It was this contribution and the series of experiments and papers that followed that opened up an entire new field of ophthalmological research and study around the world. He received the Friedenwald Award in Ophthalmology in 1976, one of the highest honors given by the Association for Research in Vision and Ophthalmology. 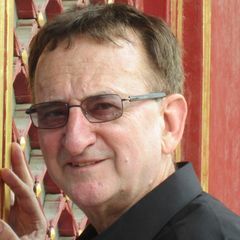 He also received several other awards recognizing his teaching and research, including UCLA Golden Apple awards, a UCLA Distinguished Teaching award, the Bowman Lecture of the Royal College of Ophthalmologists, the Verhoeff Lecture of the American Ophthalmological Society, the Charles F. Prentice Medal from the American Academy of Optometry and an honorary Doctor of Science from the University of Chicago in 1980. He retired from UCLA in 1991. He is survived by his wife, Dr. Joyce Hagen, and four sons: Kevin, Mike, Jimmy and Andy; eight grandchildren; three stepchildren; seven step grandchildren; and a step-great-grandchild.